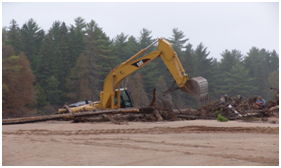 Dead River Flood Clean Up – Dead River Basin Marquette, MI. Removal and disposal of timber piling field crossing the Dead River. 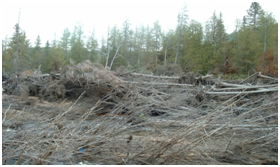 Removal and chipping of woody debris deposited by 2003 flood event.